Do you save tissue paper when you receive a gift? Even if you don't reuse it for gift giving there are tons of crafts, projects, and activities for kids to create with tissue paper! We always recommend reusing tissue paper but if you must buy it new for a project there are so many fun options available! Now you have your tissue paper! What should you do with it to invite your children to play and learn? Make a Pretend Play Campfire from Pre-K Pages! Infants will love the result of Tissue Paper Kicking from Mama OT as they learn to control their movements! 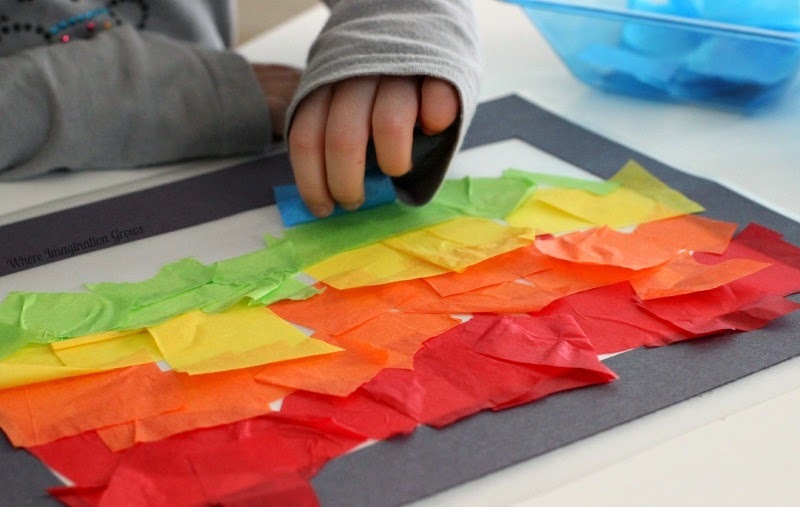 Craft a Rainbow Art Puzzle from Fun-A-Day! Thanks for linking up to last week's Share It Saturday! Happy Hooligans shows how to make Tissue Paper Butterflies! Decorate the house with Tissue Paper Flowers from My Nearest and Dearest! Make your own 5 Minute Pinata with directions from Toddler Approved! Create a Rainbow Stained Glass Window by Where Imagination Grows! Craft a Personalized Hot Air Balloon from House of Burke! And Next Comes L created a Tissue Paper Sensory Bin for little learners to rip, throw, and explore! Try a Windy Race with Tissue Paper from Hands on as we Grow! Decorate Windows in such a cheerful way using either contact paper or wax paper with directions from Fun-A-Day! 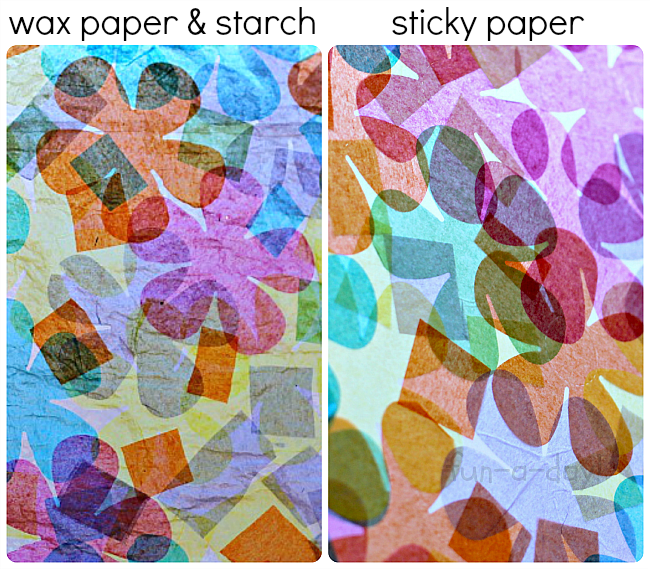 Practice Fine Motor Skills with Tissue Paper from Sugar Aunts! 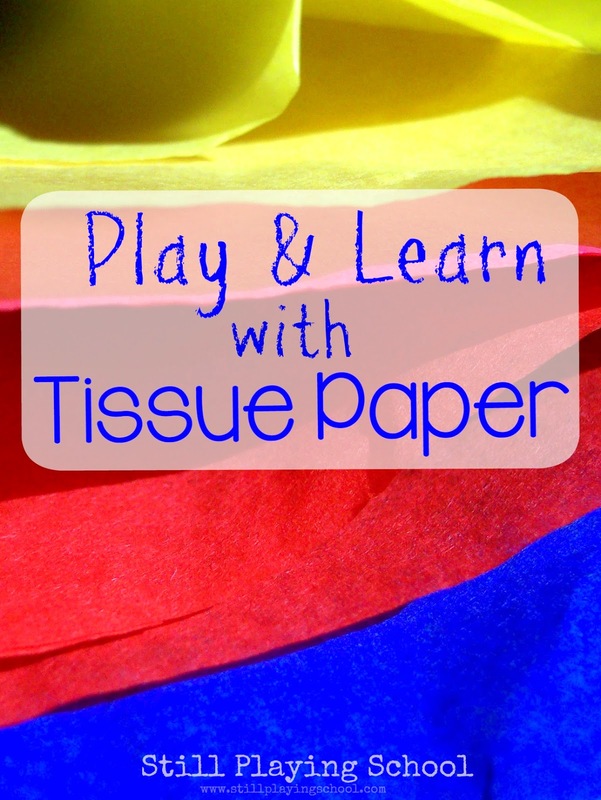 Use tissue paper for Preschool Science from Stay at Home Educator! Try Tissue Paper Flower Art from Wildflower Ramblings! tissue paper crafts are always so pretty against the outside light!